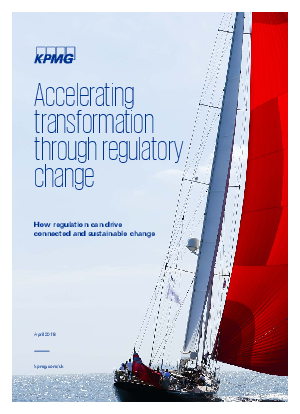 Offers > KPMG > Want to leverage regulatory change to accelerate wider transformation? Modern regulation demands connected thinking, leading-practice processes, optimal data management and insightful reporting – all of which makes the finance function the ideal catalyst for change. what leading companies are doing to drive transformation through regulatory change.